Yesterday, South Africa’s Minister of Health, Dr Aaron Motsoaledi, announced that the country has 727 laboratory-confirmed cases that occurred between January 2017 and 5 January 2018. He made this announcement at a national media conference accompanied by Prof Lucille Blumberg, Specialist Microbiologist, and Dr Juno Thomas, Head of the Centre for Enteric Diseases, both of the National Institute for Communicable Diseases (NICD); Dr Rufaro Chatora, Country Representative from the World Health Organization; Mr Mooketsa Ramasodi, Acting Director General for the Department of Agriculture, Forestry and Fisheries (DAFF); and Ms Tiny Rennie, Acting Director-General of the Department of Health. The Minister told the Media that the National Multi-sectoral Outbreak Response Team (MNORT) led by the National Department of Health, and includes the Department of Agriculture, Forestry and Fishery (DAFF), the Department of Trade and Industry, the NICD and other relevant stakeholders continues to monitor and coordinate the outbreak response activities. He called on all South Africans to practice basic food hygiene principles as outlined in the World Health Organization’s ‘Five Keys to Safer Food’ programme. Use safe water and raw materials: use safe water or make it safe (by boiling); choose foods processed for safety such as pasteurized dairy products; wash fruits and vegetables thoroughly, especially if eaten raw. In his brief remarks, Dr Chatora commended South Africa’s response and openness about the outbreak. “The Government of South Africa shared the detailed information with WHO in compliance with the provisions of the International Health Regulations. This has helped South Africa and the Global Community at large to protect health, to stand ready to identify, to respond and to control outbreaks where they occur in keeping with the regulations. It is also great to see how in South Africa different sectors such as Agriculture, Food Industry and Farming have come together with the Health sector to fight Listeriosis and to interrupt the outbreak. 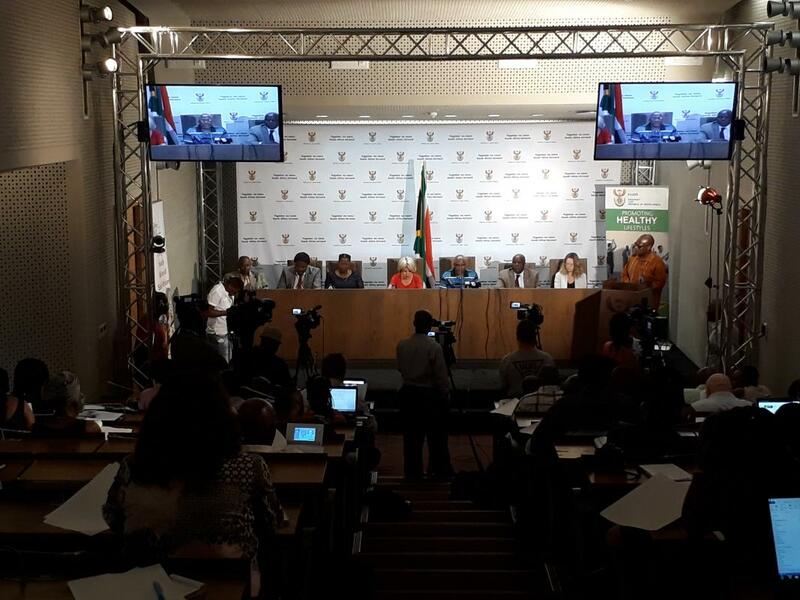 The country has also implemented some important measures such as making Listeriosis a notifiable condition for the first time ever. This is helping to track the diseases”. Dr Rufaro also assured the Minister of Health that WHO and the International Community stand ready to support the Department of health and other departments involved in fighting this outbreak. Listeriosis is now a notifiable condition in South Africa. Since 5 December 2017, the Department of Health amended the list of notifiable diseases to include Listeriosis. Prior to this outbreak, Listeriosis was not a notifiable condition. The current outbreak qualifies in at least 2 of the criteria, i.e. Rapid spread and unusual or unexpected behaviour.